Basic medium for Blood Agar, for isolation and cultivation of fastidious bacteria and for detection of haemolytic activity of streptococci and other microorganisms. Completed medium is prepared with 5 to 10% blood. Blood Agar Base can be used as general purpose medium for the cultivation of a wide range of microorganisms. 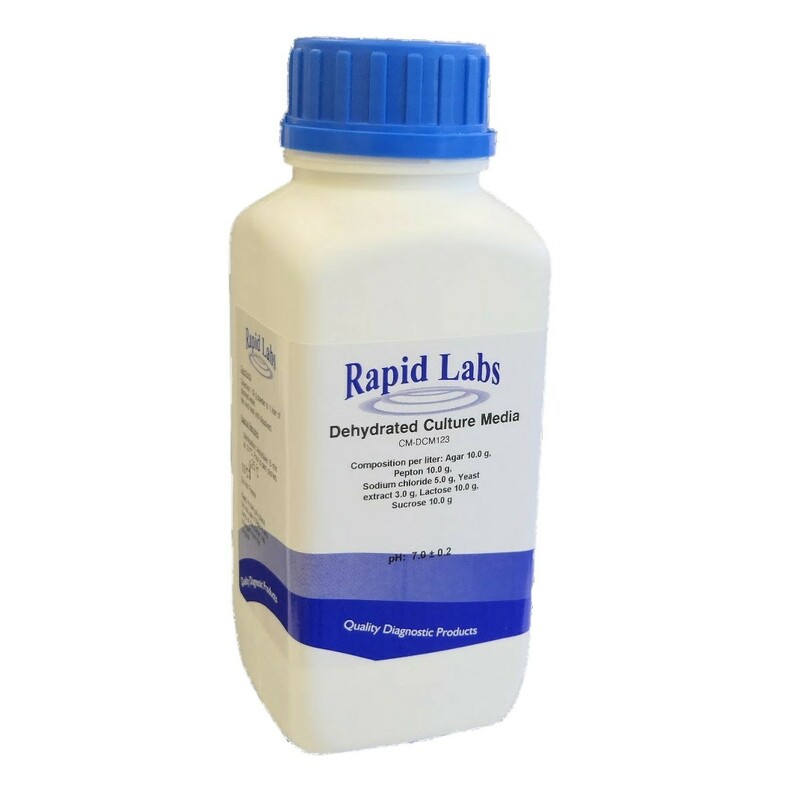 Add 37.0 grams of dehydrated culture medium to 1 litre of distilled water. Mix thoroughly. Heat with frequent agitation and boil for 1 min to completely dissolve. Autoclave for 15 min at 121 ⁰C. Cool to 45-50 ⁰C. Aseptically add 5-10% of sterile, defibrinated blood. Mix thoroughly and pour into sterile Petri dishes.